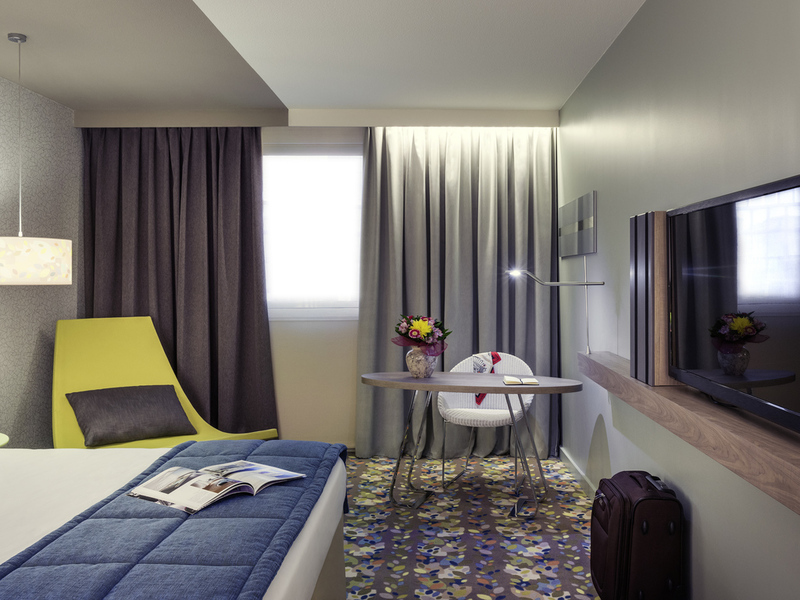 At the gates of Paris, the 4-star Mercure Paris Val de Fontenay hotel will satisfy all your needs during your business trips or family vacations. For your comfort, discover our restaurant menu on our patio and take advantage of the large workspaces to org anize your seminars. Come and relax in one of our stylish, air conditioned rooms, right by the RER train station and just a short distance from Disneyland Park. During fine weather, you can enjoy your meal on our peaceful inner terrace in the sun. As it is sometimes closed during French vacation periods, we invite you to try our room service menu.